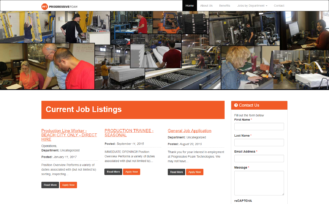 With Progressive Foam Technologies’ rapid growth, it was necessary to create a separate website just for their career opportunities. 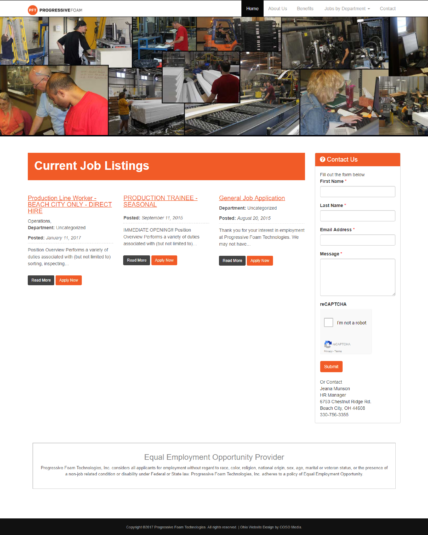 Our team created an informative website that prospective employees can learn about all the career opportunities, benefits, and company culture and values that Progressive Foam Technologies offers. They are looking for the best, qualified candidates to represent their company and having this a career website has been the perfect way to attract these individuals.